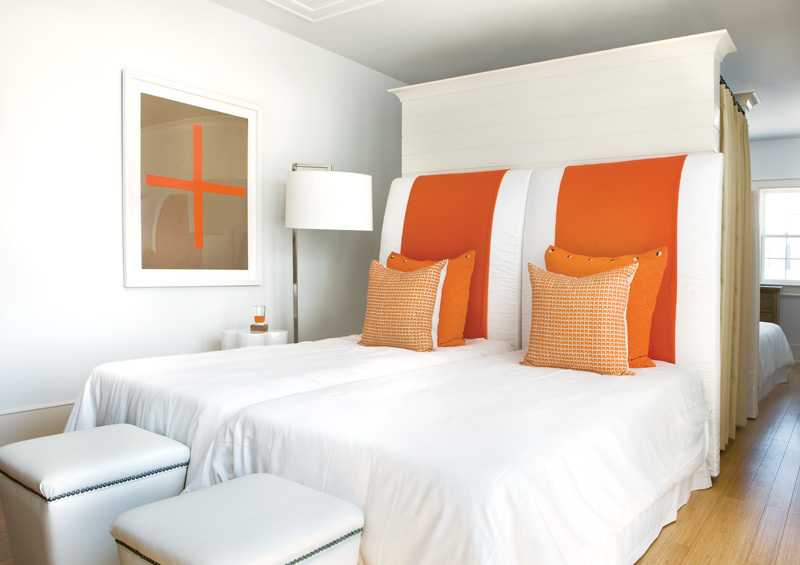 COLOR WATCH: POPS OF ORANGE MAKE A FLORIDA BEACH HOUSE OH SO CHIC! I love this Alys Beach, Florida home! All white pretty much…with pops of just the right shade of orange. 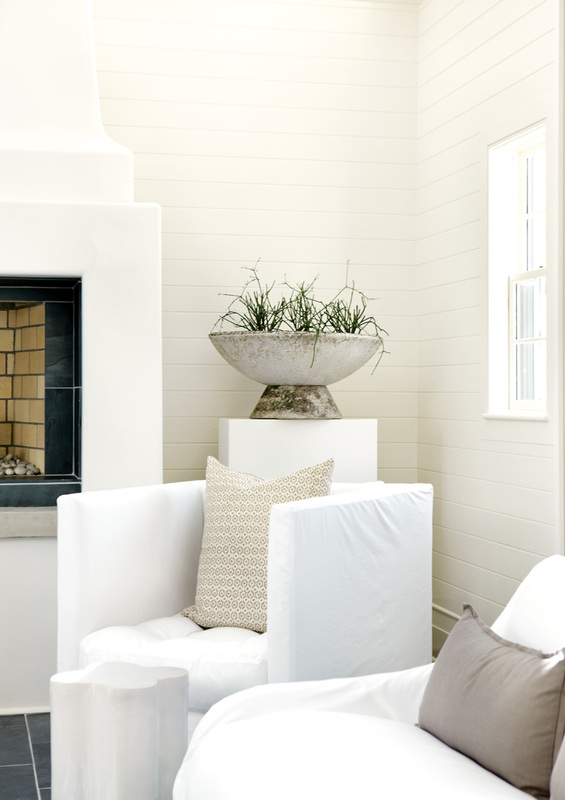 The home’s design was conceived by Atlanta interior designer Kay Douglass. It is just so playful, so refreshing, so relaxing and so casual with the right amount of elegant style…everything I would want in a a vacation home! If I was feeling daring, I might even change it up a bit by adding a hint of green from to time to time too! What do you think of this Florida home? 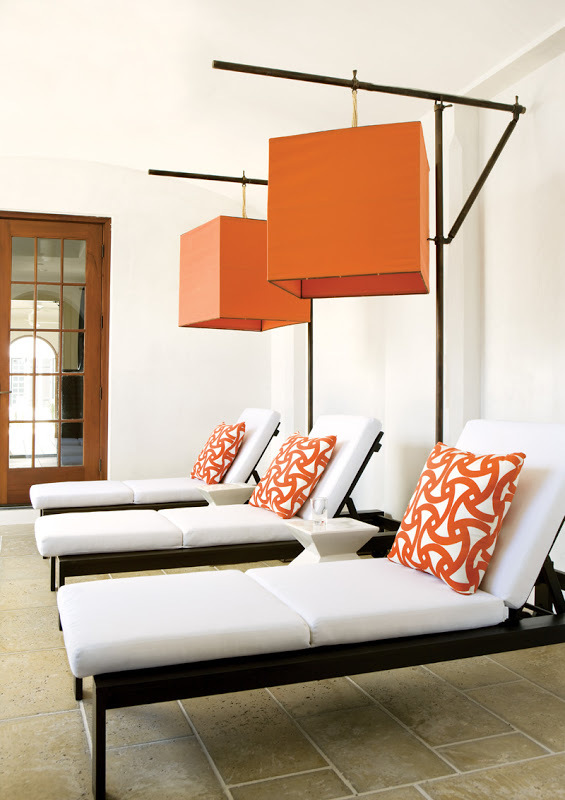 If orange is not your color, what color would you pop into your decor? P.S. On a more serious note, this home is in the Florida Panhandle – an area totally affected by the terrible BP Gulf oil spill. I have friends who have a home in Seaside, FL, a community right next door to Alys Beach, and oil has washed up onto the beaches there. My heart goes out to all of those communities and people in Florida, Mississippi, Louisiana and Alabama who have been hit by this devastating disaster. I can only wish for brighter times ahead for you. Orange IS my color and I am loving this!!! What a beautiful home. My heart goes out to all of the individuals, families and businesses affected by the BP disaster as well. Thanks for sharing! Orange is also one of my favorite colors and I like how the orange in this house can easily be changed to another color as the mood strikes. I also send out my concerns for all those who live in the beach communities of the gulf. This is a tragedy that will affect all of us for, perhaps generations. Thanks for mentioning it. As a redhead, orange has always been a favorite color for me. I’m using pops of it in my home now…just makes me happy to see it. 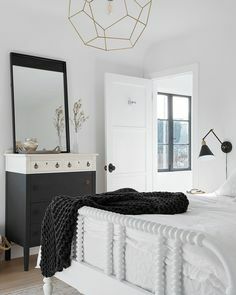 I’m coveting the orange chandelier. What a statement piece! Love the orange and seeing how it works in such a great way…I wam a green fan. This goes to show you can love a colour not matter what is “in or “out” and make it work for your style. Good luck to those effected by the oil disaster…I am sorry its been going on for so long now. Look at all your commenters who love orange! I’m one too 🙂 It’s my all time, favourite and happy colour!! It’s funny; I wrote about orange earlier today… so just now I tucked a p.s. 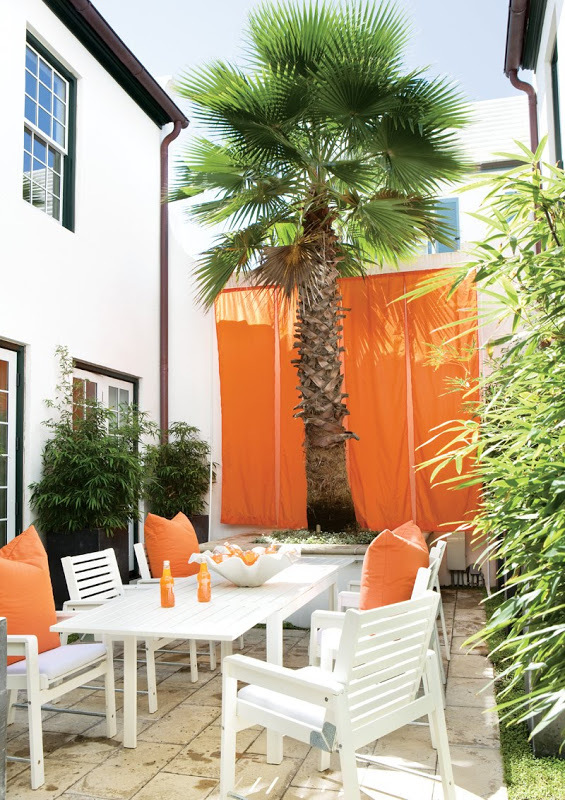 in my post directing readers over here to check out this oh-so-lovely Florida home! The oil spill is just so sad – affecting so many peoples lives and so many helpless little animals. 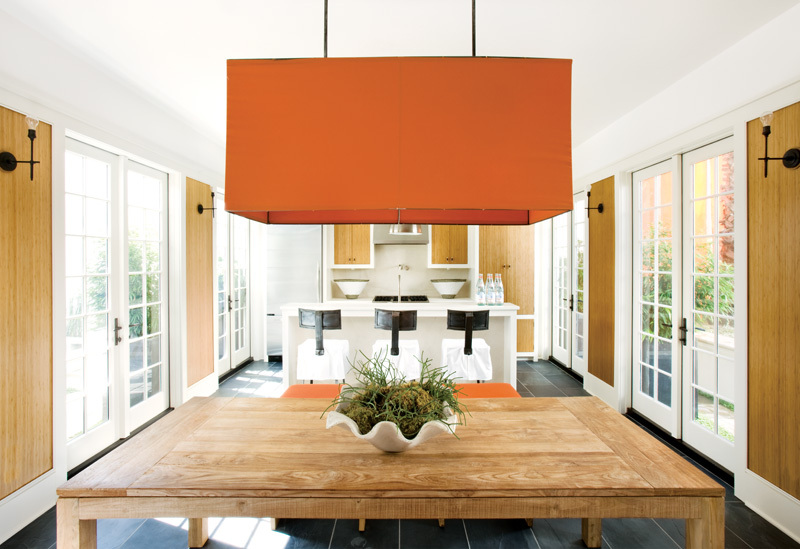 On a brighter note I am obsessed with this home the giant orange pendants (indoor and out) are amazing! 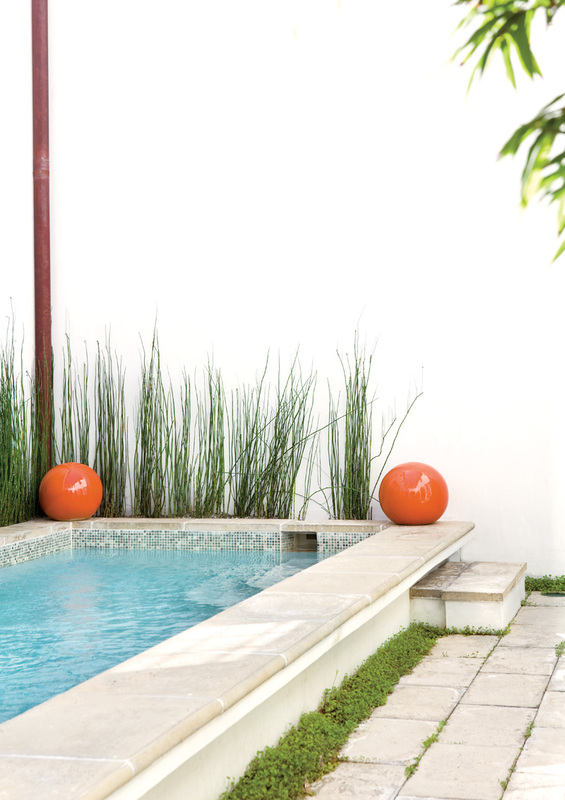 This home really reflects the tropical feel of Florida, but in a very cool, chic, and modern way. I really liked the orange pop of color, would probably add another color, just like you mentioned maybe a green or a dark purple color. Loved the flooring in the living room, really contrasted with the white furniture and painting. Thanks for sharing, really enjoyed your blog! PS: I am a Floridian who feels the sadness regarding the oil spill 🙁 speechless! Orange is one of my least favorite colors…I think it can be really hard to pull off; however – it is amazing here!